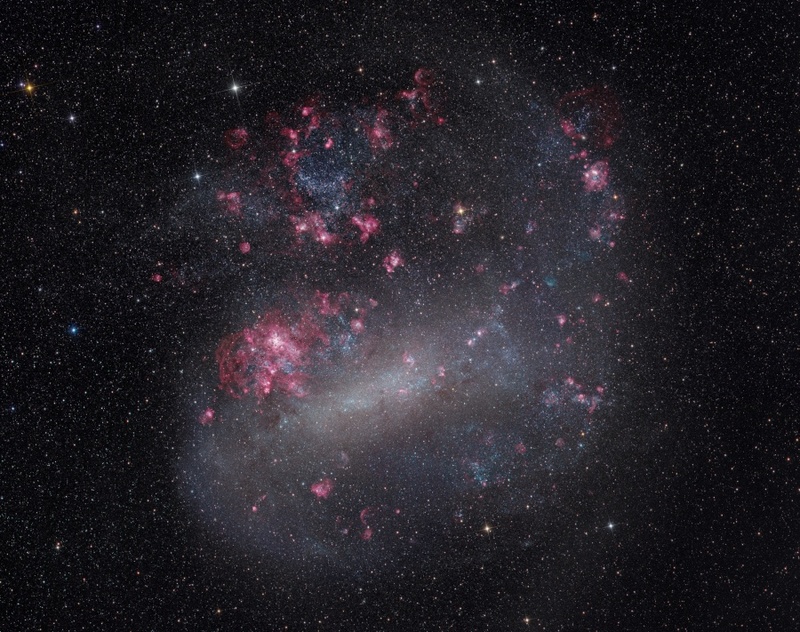 Explanation: A satellite galaxy of our own Milky Way, the Large Magellanic Cloud (LMC) is an alluring sight in dark southern skies and the constellation Dorado. A mere 180,000 light-years distant, the LMC is seen in amazing detail in this very deep 4 frame mosaic of telescopic images, a view that reveals the Milky Way's satellite to have the appearance of a fledgling barred spiral galaxy. The mosaic includes image data taken through a narrow filter that transmits only the red light of hydrogen atoms. Ionized by energetic starlight, a hydrogen atom emits the characteristic red H-alpha light as its single electron is recaptured and transitions to lower energy states. As a result, this mosaic seems spattered with pinkish clouds of hydrogen gas surrounding massive, young stars. Sculpted by the strong stellar winds and ultraviolet radiation, the glowing hydrogen clouds are known as H II (ionized hydrogen) regions. Composed of many overlapping clouds, the sprawling Tarantula Nebula left of center, is by far the LMC's largest star forming region. 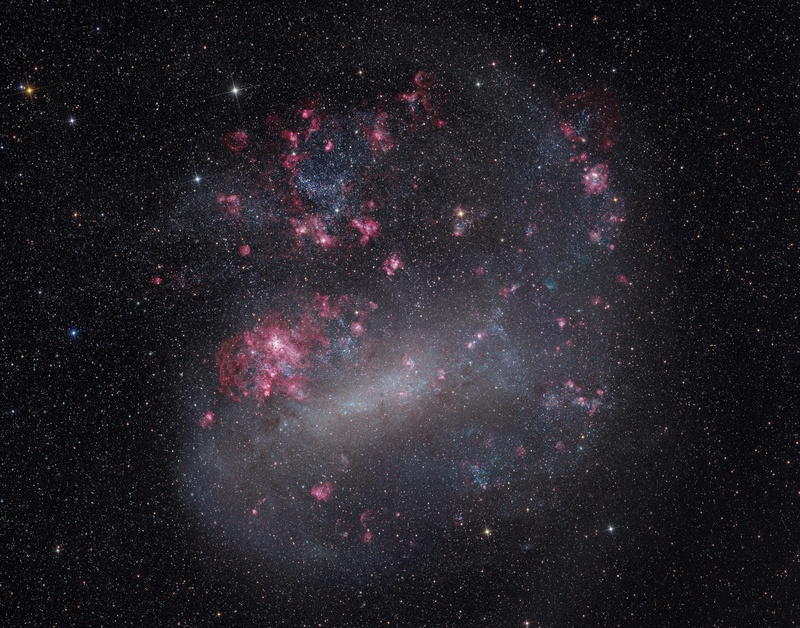 The Large Magellanic Cloud is about 15,000 light-years across.